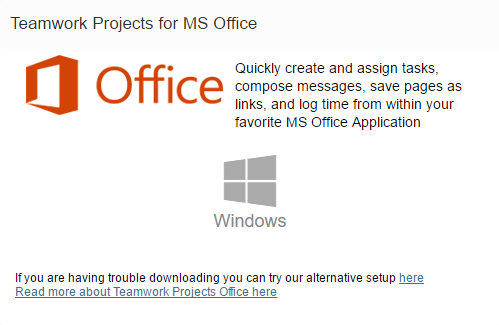 Within Teamwork Projects, you can integrate your site with Microsoft Office. 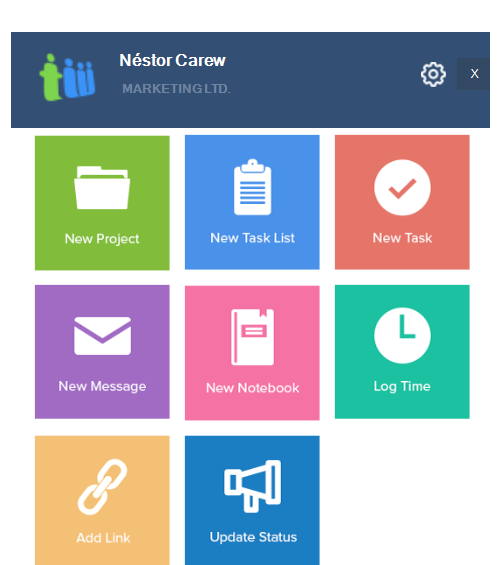 To use Teamwork Projects Office you will need to have at least Windows 7 or newer (Windows 10 recommended). The add-in can be used with MS Office 2013 or newer, Office 365 Desktop installation is supported. Please also note that you will need Microsoft .Net 4.6 installed which is usually part of Windows Update. The Microsoft Office Add-In is available on Pro plan and higher. The Microsoft Project Add-in is available on the Premium and Enterprise plans. To install the add-in, just click your profile image at the top right of your screen, select My Profile under the integrations section you can select the Windows icon. Follow any prompts to complete the installation process. When you start either Outlook, Word, Excel or PowerPoint for the first time after installing the add-in you will find a new tab in the MS Office ribbon bar called Teamwork. Using Open Teamwork will open the main view of the app on the right hand side of your Office Application. 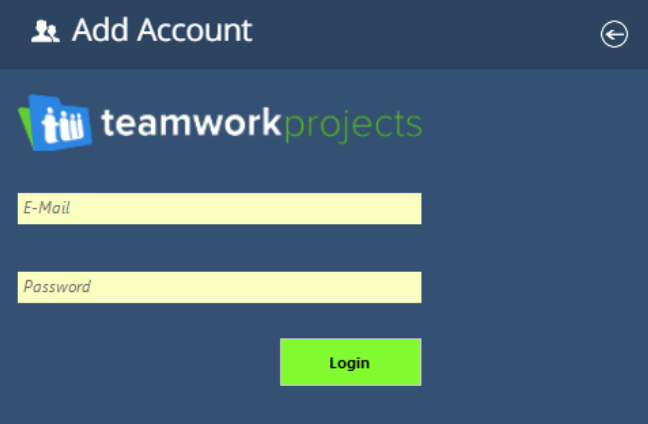 Log in with the username and password for the Teamwork Projects site you would like to connect to. When have logged in successfully, you will see the main view of the app and also all options on the ribbon bar should be available for you.